We haven’t worked on our weekly art challenge since the beginning of the year. Some of us were genuinely busy, the rest of us (myself included) were total slackers! haha, but here we are again, ready to get back into the swing of things. 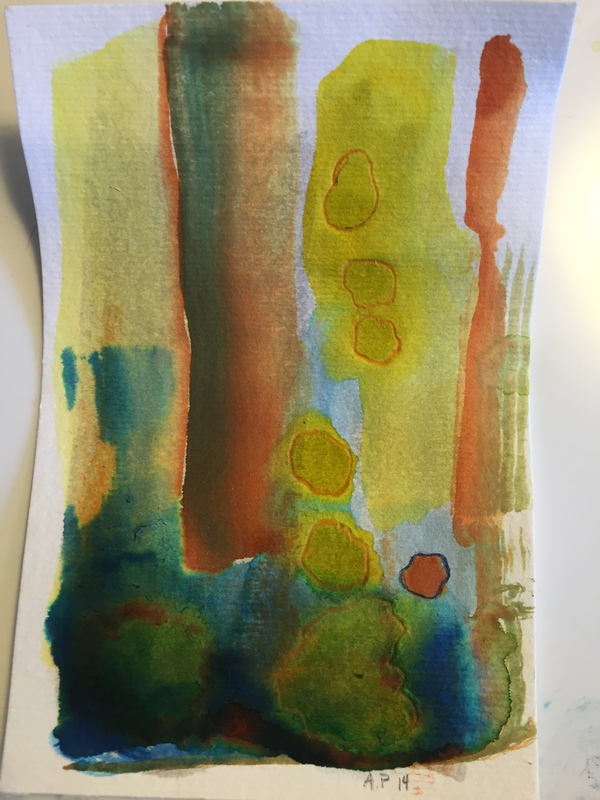 The first theme for Weekly Art Challenge 2.0 is FEELINGS! 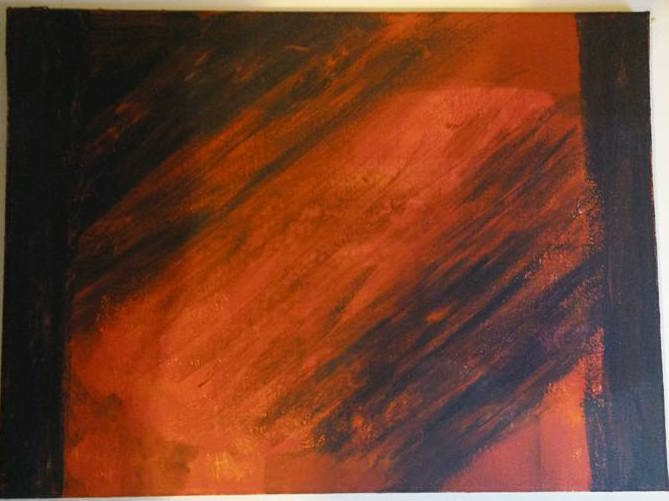 RJ: Frustration, Acrylic on paper. – RJ was originally trying to convey the feeling of happiness through abstraction, but it wasn’t working out as he planned and instead of capturing happiness, he accurately expressed his frustration. RJ’s experience is common amongst artists. Our moods affect our work and our work can affect our moods. The choice of colors, the bold brush strokes and the way the darkness smears itself across the image, preventing the viewer from moving past the feeling frustration to the possibilities beyond the dark smear. 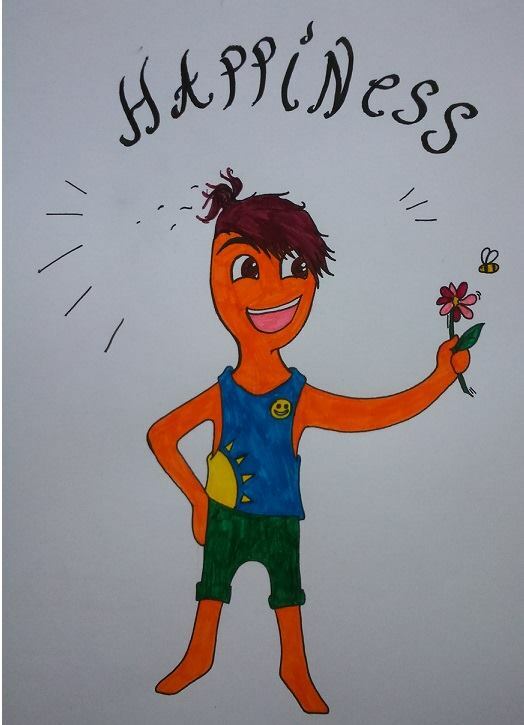 Tony: Happiness, marker on paper. – Tony set out to illustrate happiness and I think it would be impossible to look at his image and think it conveyed anything else but happiness. I like that his illustration literally oozes happiness. From the body posture to the choice of colors and supportive imagery, AND of course – in case you are not sure about the theme of the piece – the word ‘Happiness’ is written across the top in a bouncy la-la-la font. I can see this character in a children’s book or featured on a children’s television show. Young kids would definitely respond positively to this happy lil guy! 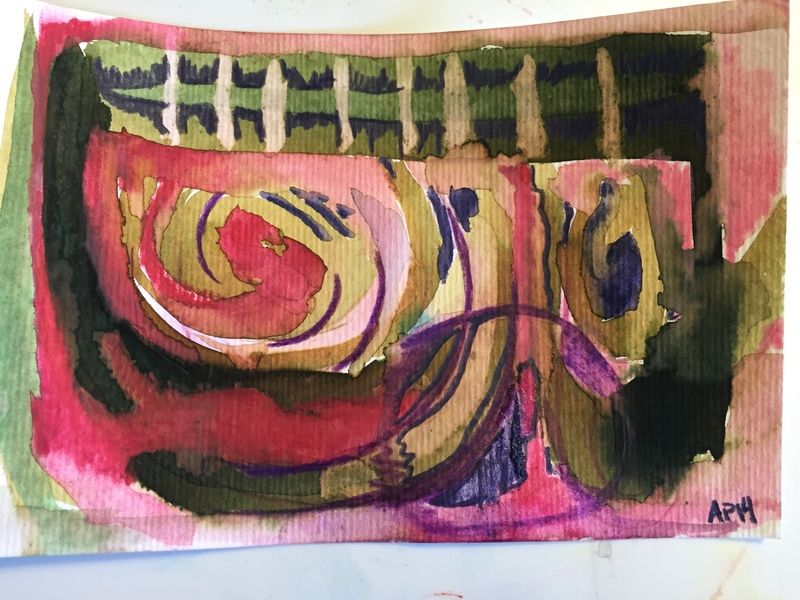 Dylan: Loud Silence, found object – Dylan wanted to express the exhaustion of her feelings. Another relatable feeling. 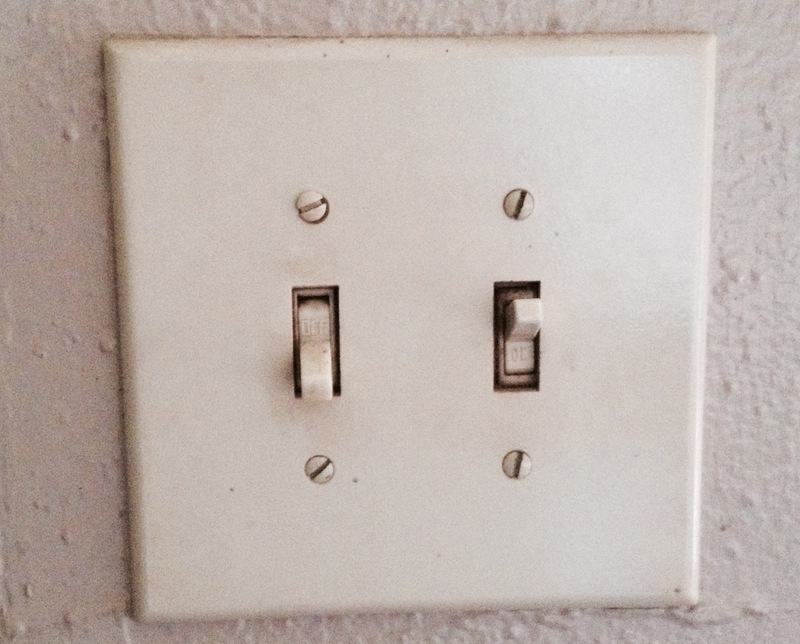 Those days when you must be “on” but in fact your feeling is more accurately described as “off”. Its a struggle to effortlessly switch from one feeling to another and I think that struggle increases for those who are naturally empathic to other’s feelings. Amber: Invisible, mix media on paper (graphite, acrylic, watercolor, gesso, ink, paper) – I picked INVISIBLE as my feeling because I think it is a feeling that everyone can relate to, especially in an era where we are obsessed with putting our best face forward for the sake of the perfect [enter preferred social media] profile. I don’t want to criticize social media itself or point fingers and judge folks for spending too much time online, I am equally guilty of overindulging in social media as the next person. I am more interested in illustrating the desire to be seen, to stand out and still feeling invisible with the attention we receive. 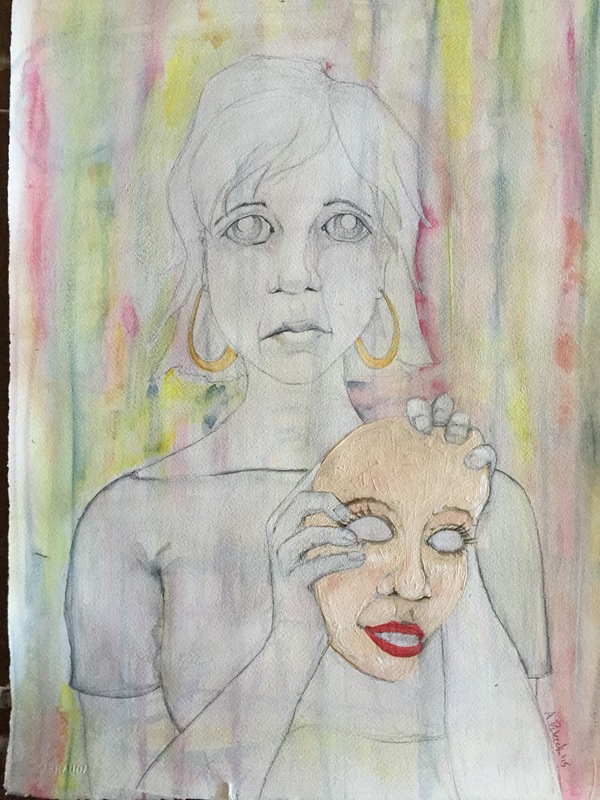 I wanted to illustrate the feeling of invisibility as a young girl awkwardly holding a bold and matured mask. The mask’s face reflects nothing of her real self, but instead reflects the performance of the visible her or the her that others prefer to see when they “see” her. Perhaps we are so self involved that we all fail to see each other, thus forcing those around us to try harder to gain visibility? Or, we are incapable of seeing the real person before us because what we see reflects us more then them? These are some of the thoughts that were running through my head as I worked on my piece. Hope you all enjoyed this week’s art challenge. Next week the theme is: Repetition!! This week’s art theme is: PIE. 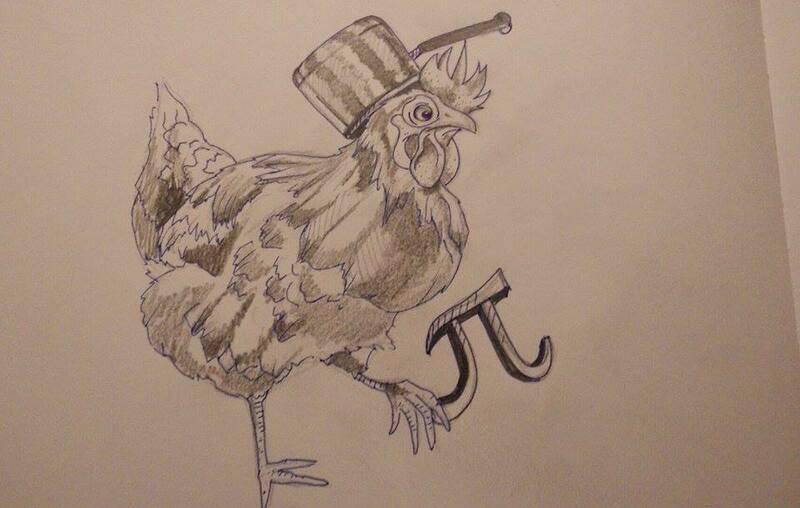 RJ: Chicken Pot Pie, Graphite and pen on paper – Someone has a sense of humor! As always I love the textures and mark making that RJ naturally creates. He has a great eye for detail and his work always look so effortless. 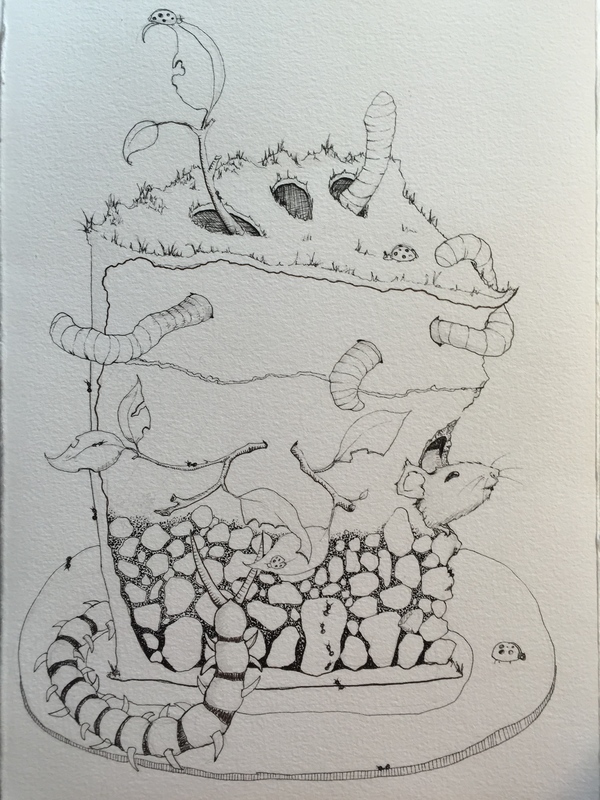 Amber: Slice of Earth Pie, pen and ink – At first I had no idea what I was going to make for the theme. Personally, I hate pies! I never order one and I can count the number of pies I have eaten in my life on one hand. I was struggling for a few days until I remembered one kind of pie that I did love making as a child. Mud Pies!! I was a mud loving kid, always digging holes, playing with worms and making mile high mum pies. This piece is an homage to my childhood games and love for earthly creatures. Its incomplete at the moment. Some watercolor and more pen work will be added along with additional ants and possibly another ladybug. This week’s theme is Heavy! 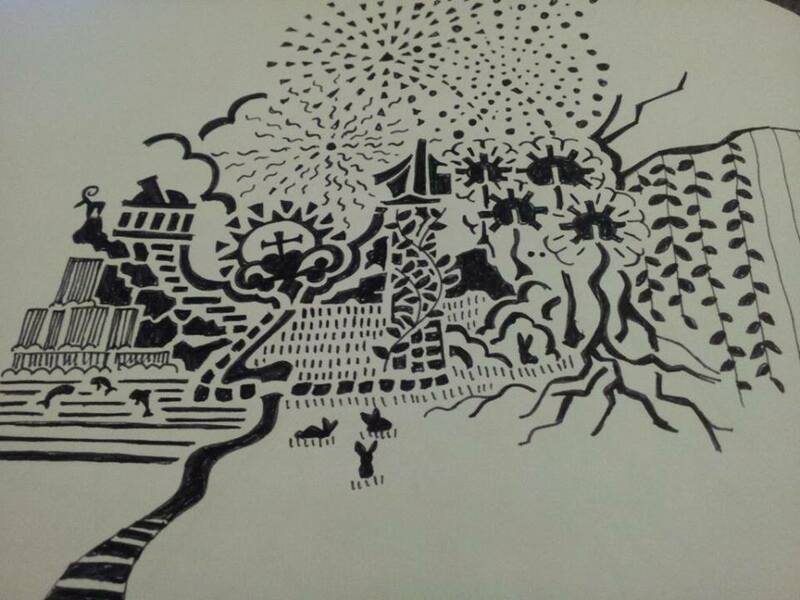 RJ: Untitled, Ink on paper – RJ wanted to use a heavy bold black line to create something that was still uplifting. It definitely has a fantasy dream-like quality. He balances his heavy lines with nature inspired patterns and imagery. The piece reminds me a lot of illustrations from old fairytale books I use to read as a kid. 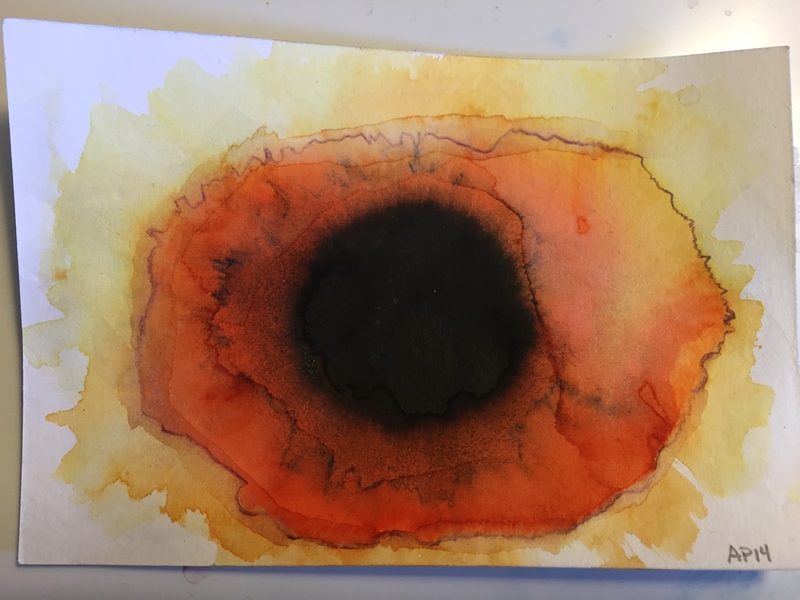 Amber: Abstractions, water color on paper – I wanted to play with abstraction and spent the afternoon having tons of fun with my watercolor media. 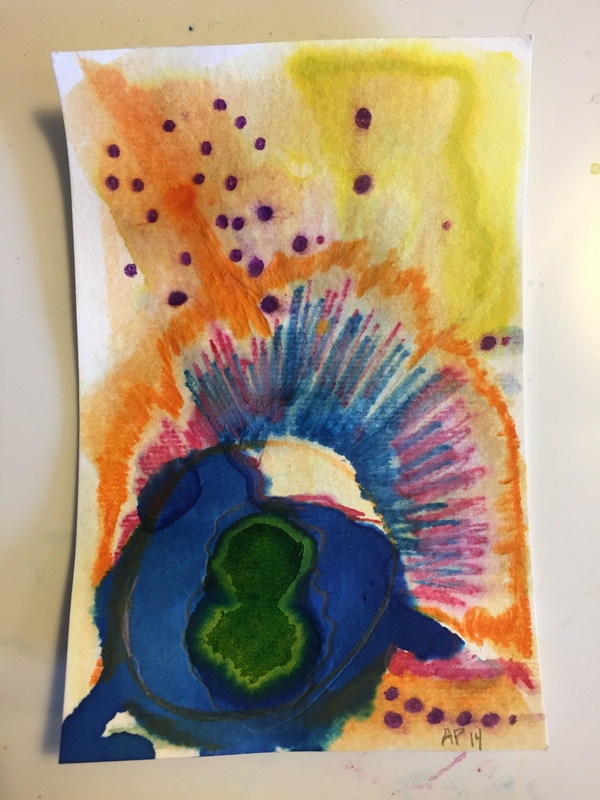 My approach to making these small art pieces was to keep them in rotations. 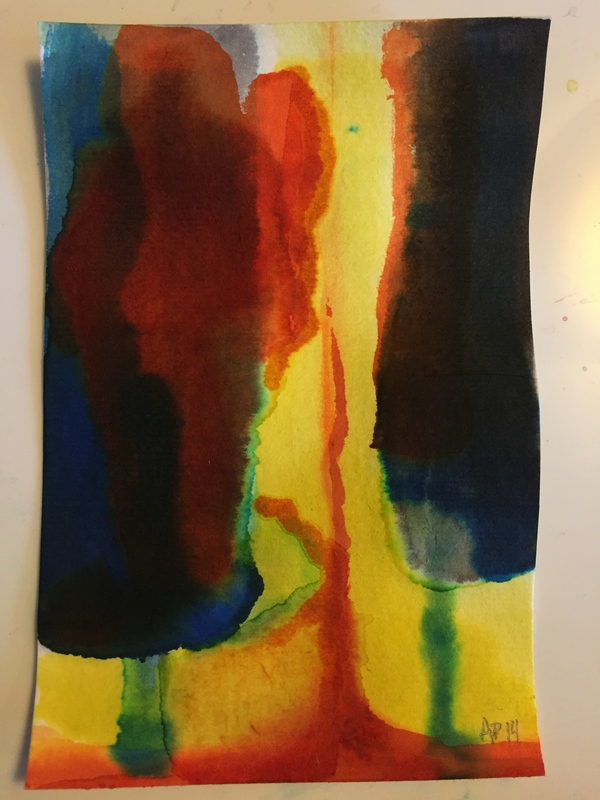 while one was drying, work on another and then rotate. I worked without a set plan for the outcome and I trusted my creative intuition. I had a lot of fun, as art should be!